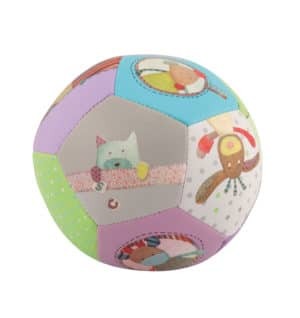 Inspire and delight your baby with a fun little friend who makes great noises, has interesting textures and a little ‘mirror’ to catch his eye! 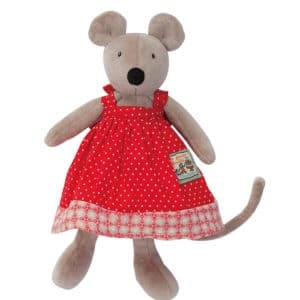 This adorable soft activity toy is easy for little hands to grab, the long limbs and ears are wonderfully tactile. 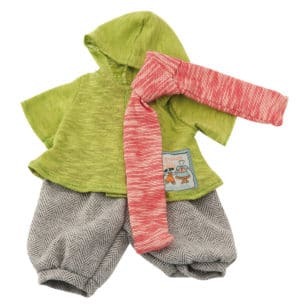 The fabrics are varied in texture to heighten baby’s enjoyment while exploring the toy. The activity rabbit has ears that crinkle and a squeaky toy in its belly, and the ‘mirror’ is a child safe foil-backed plastic which will reflect light and objects. 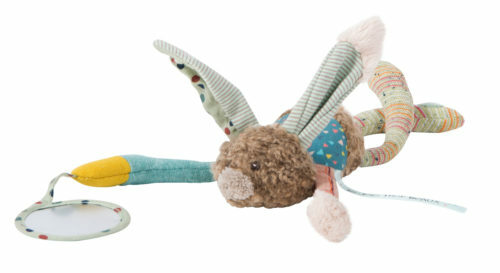 Rabbit’s back legs can be joined together (velcro fastening). 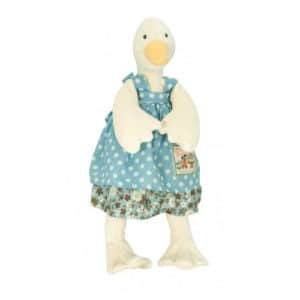 This soft toy will help to stimulate your baby’s senses and help them to develop an understanding of cause and effect. Care instructions: Hand wash (up to 30 degrees). Do not tumble dry.